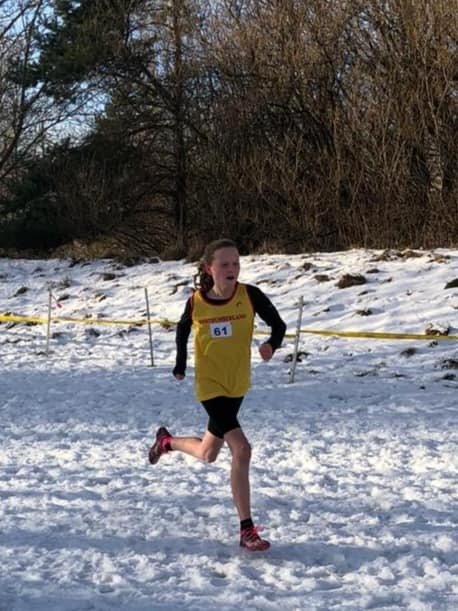 There were some outstanding performances from Alnwick Harriers at the weekend. 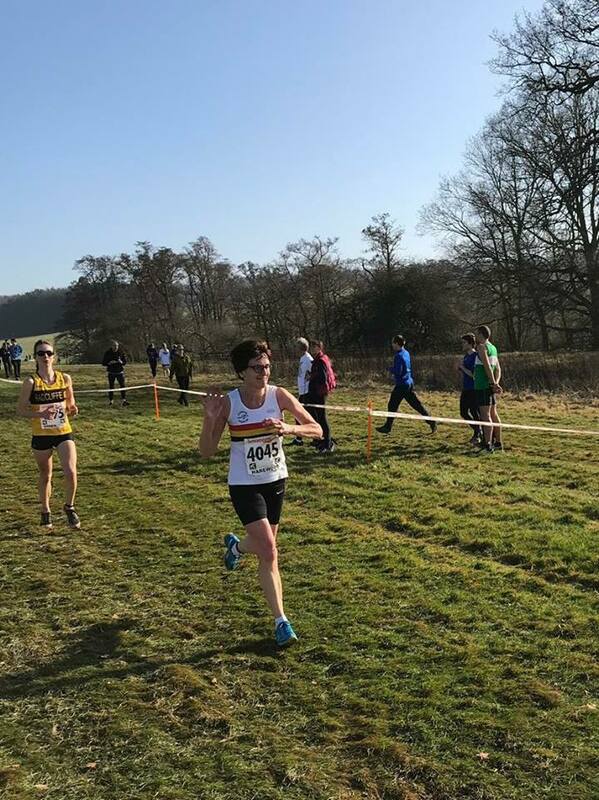 First off, Bruce Crombie and Diana Weightman represented the club at the prestigious National Cross Country Championships, at Harewood. Bruce finished the 12k course in 48.42, coming 901st out of the 2,006-strong field. Diana completed the 8k course in 40.36, ranking 511th out of 1,034 runners. A great effort from both! 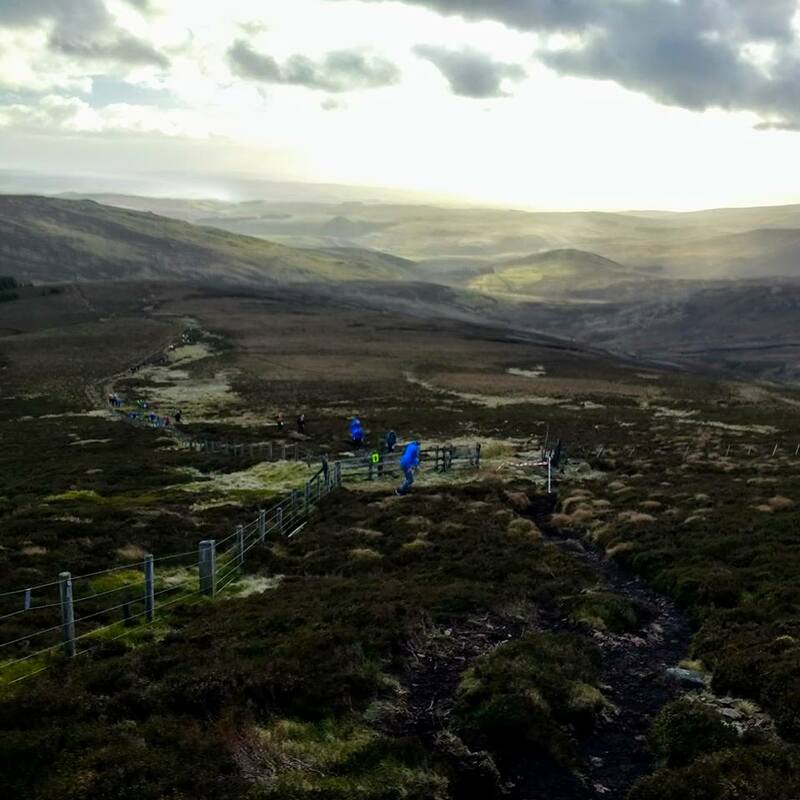 On Saturday evening, a hardy team of Harriers took on the unique challenge of The Duergar – a 10-mile trail run in the Simonside hills at night. 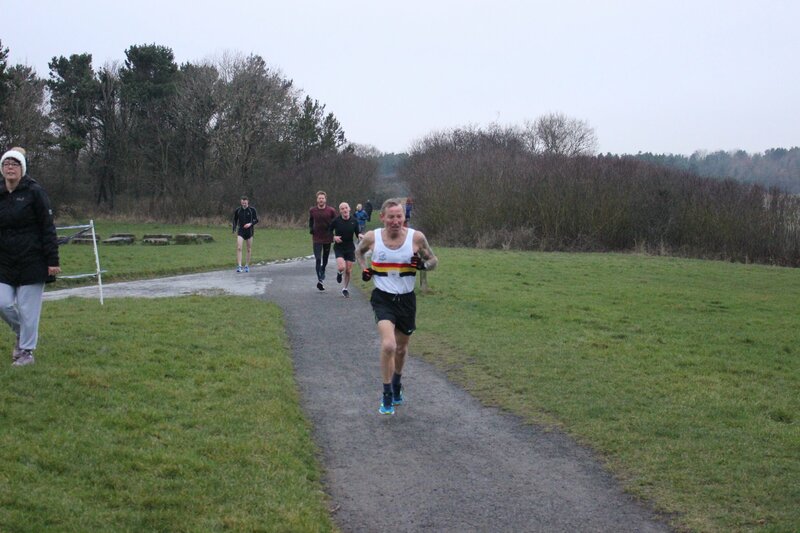 First back for Alnwick and finishing fifth overall was Jon Archer, in a very good 1.23.03. 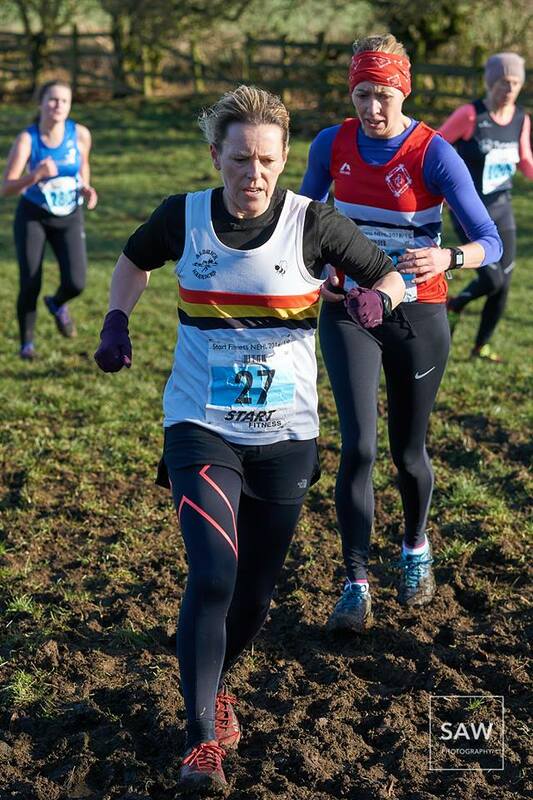 Second home for Alnwick was Laura Stubbings, who finished fourth female overall in 1.45.06. 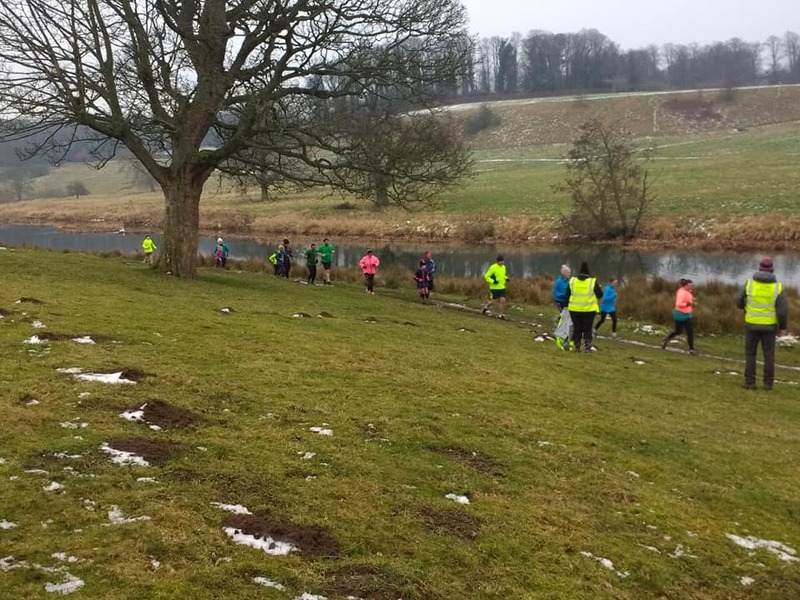 Meanwhile, a decent number of Alnwick Harriers represented the club at various parkruns, near and far. 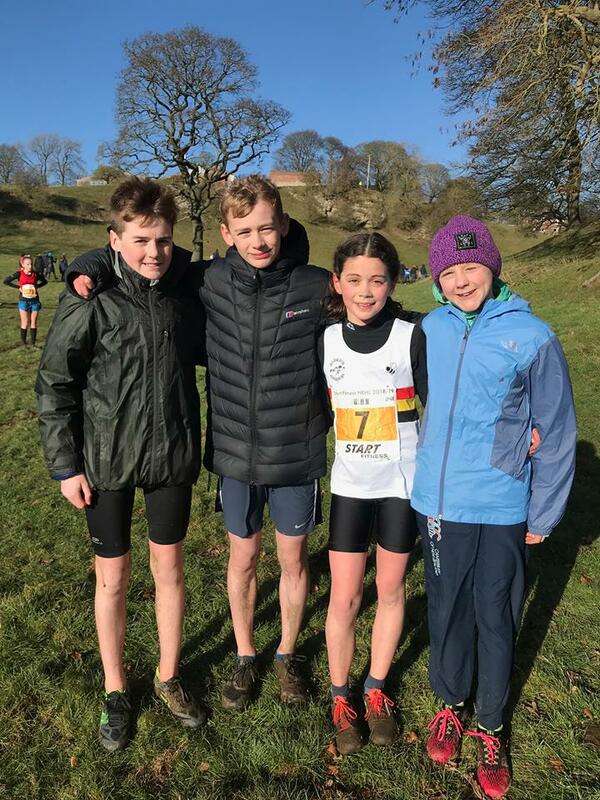 Among the highlights were Ollie Telfer finishing fourth overall at Druridge Bay in 18.21, while Harry Knox (Junior Male 11-14) clocked 23.36 at Keswick. 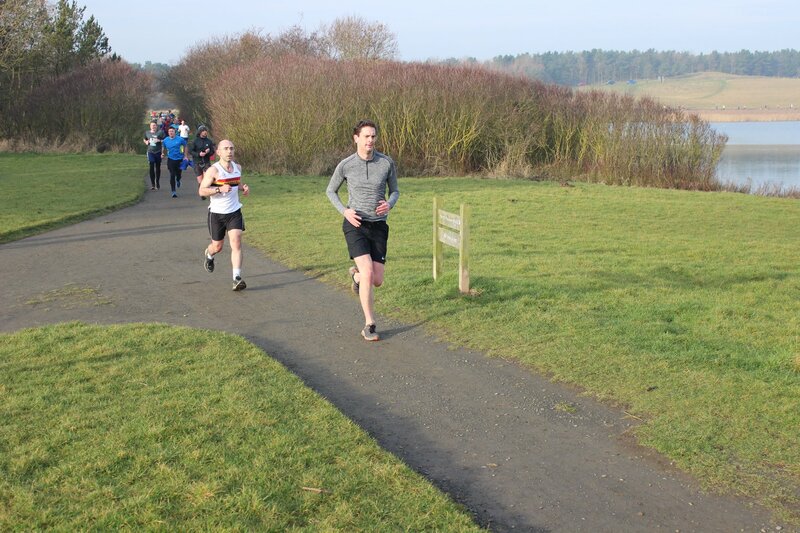 Plenty of Alnwick Harriers were in parkrun action at the weekend, with a number grabbing PBs in the process. 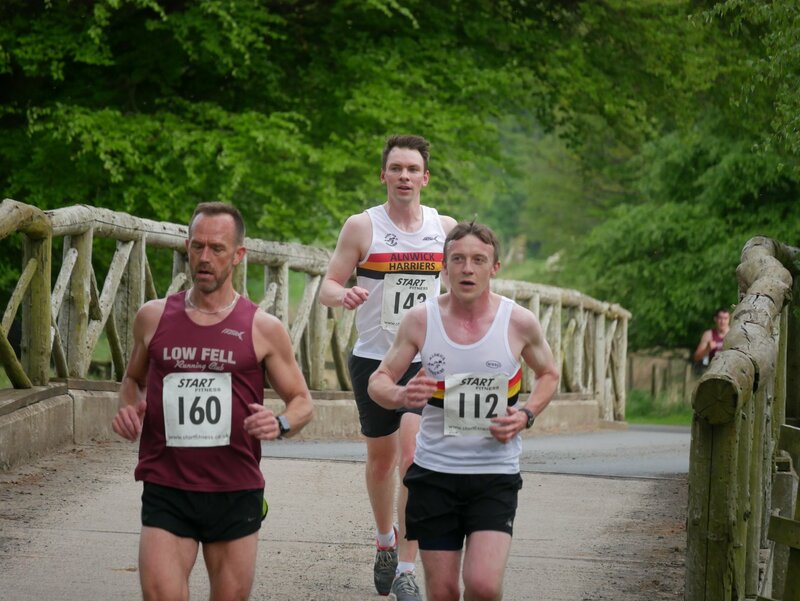 At the Pastures, Ian Horsley was the first back for Alnwick, finishing 14th in 23.30, while Tony Jackson was three places back in 24.09. On the PB front, it was a good morning’s work for Keith Shotton, Mairi Campbell and Mel Whewell. Please note that the Pastures parkrun is cancelled this weekend, but will resume on March 2. 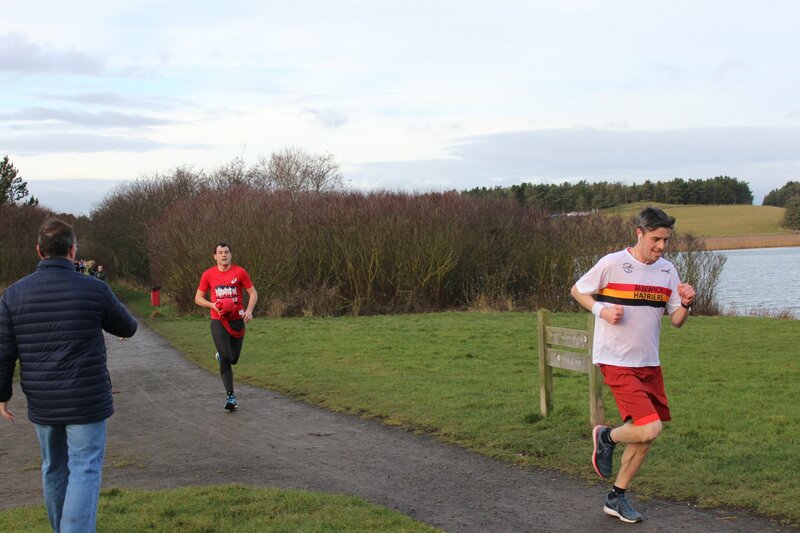 There was a strong contingent of Alnwick Harriers at the Druridge Bay parkrun, with Adam Fletcher and Joseph Godden finishing inside the top 10, while Carole Page was second female overall. Eleanor Heeley, Emma Givens and Anna-Grace Harvey all recorded PBs. 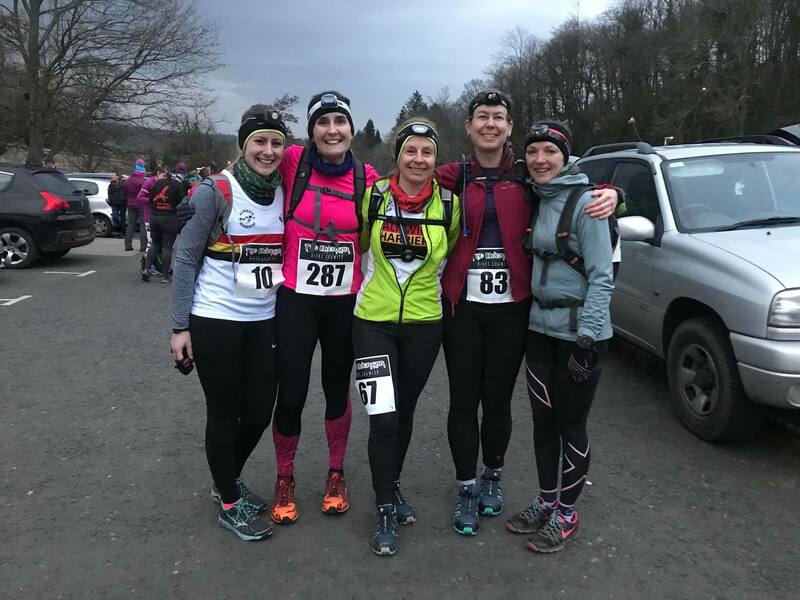 On Sunday, and away from parkrun action, four Alnwick Harriers represented the club at the Run Newcastle Valentines 10k 2019. In what was a fine show of girl power, Jo Powell was first back for the club in 47.09, while Mel Steer was first in the female 50-54 category. 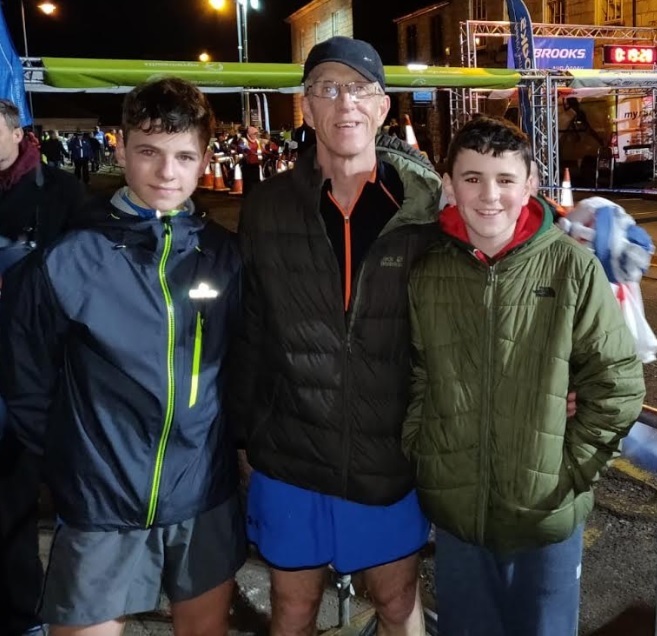 Before the weekend, three Alnwick athletes travelled to Northern Ireland last Thursday to compete in the Brooks Armagh International Road Races. Each year, the city closes its central roads and invites athletes from around the world to compete in their 5km, 3km and junior races. For more than 50 years the event has attracted athletes of the highest standard and can claim to be the fastest road race in the world by securing the greatest number of athletes able to finish the 5km course in under 15 minutes! There is also an international race for the ladies, veterans and junior men which is contested over 3km. 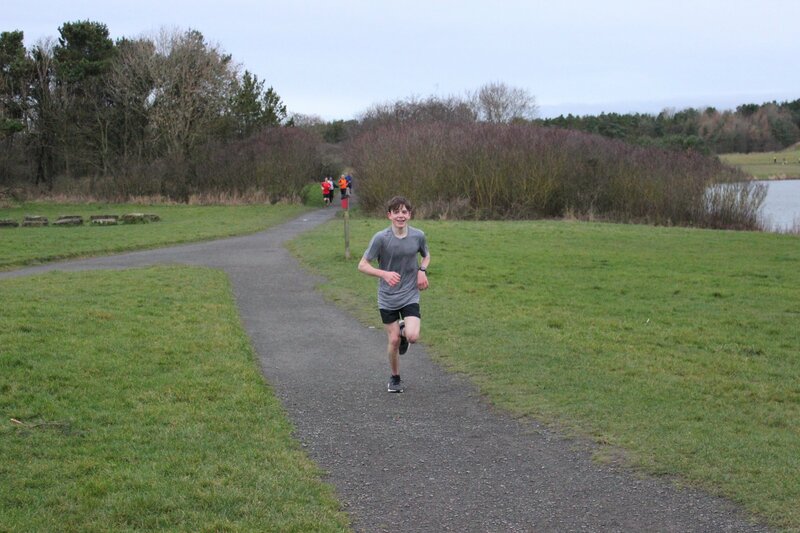 Alnwick’s Ollie Telfer had a tremendous 3km race, winning the junior boys’ category (U17) in an excellent time of 9.28. Ollie finished 22nd overall in the whole race among some excellent competition. Mike Telfer was quite a bit further back completing the race in a reasonable 10.44. Finlay Telfer raced the shorter 1400m course, but did well finishing in 5.44. 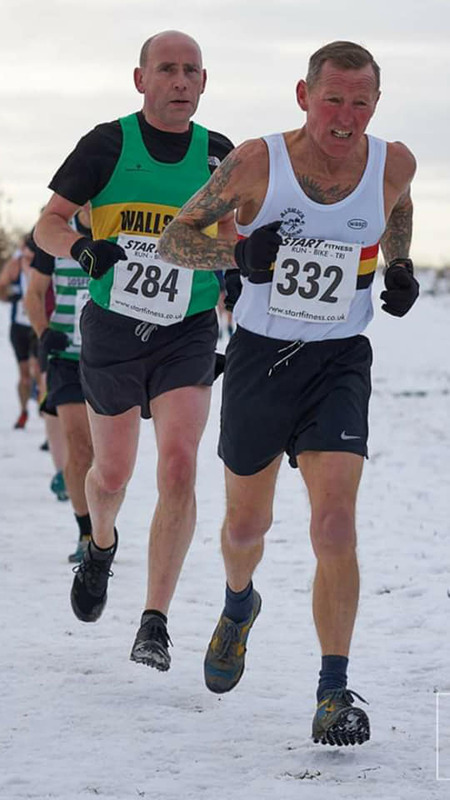 The best North East England result was from Morpeth Harrier Carl Avery – who is a good friend of Alnwick Harriers – who ran a superb race to finish 24th in 14.17. 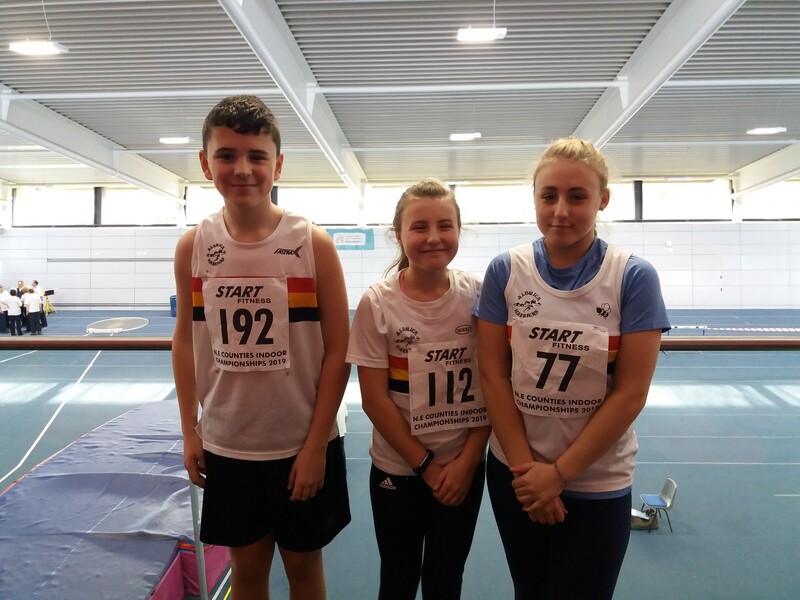 Alnwick Harriers were well represented in the shot-put competition at the North East Indoor Athletics Championship. The junior throwers won three medals. Both Talia (U15) and Leila Thompson (U13) won silver medals and Finlay Telfer (U15) managed bronze. Finlay and Leila recorded personal best throws of 7.34m and 6.89m and Talia managed another massive throw of 10.37m. 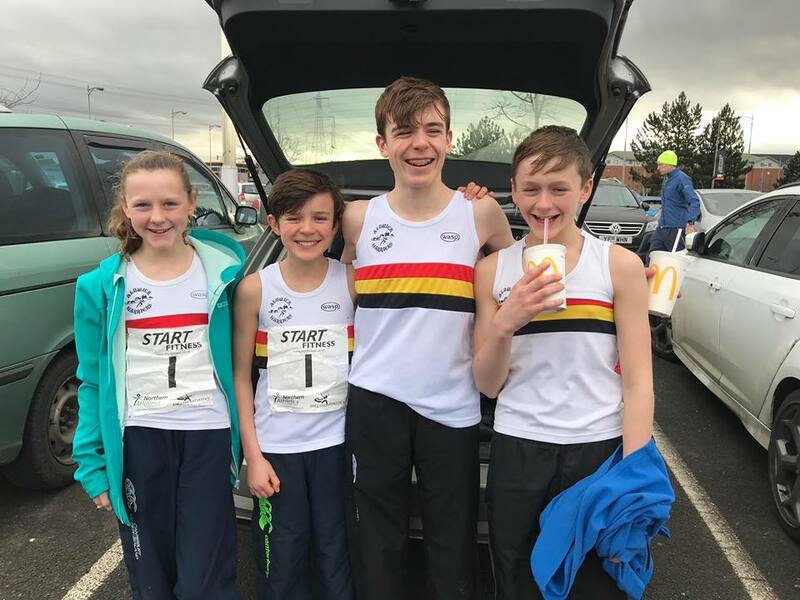 The 2019 Les Allcorn 10k and Junior Fun Run take place on Tuesday, May 14, and entry is open for both. 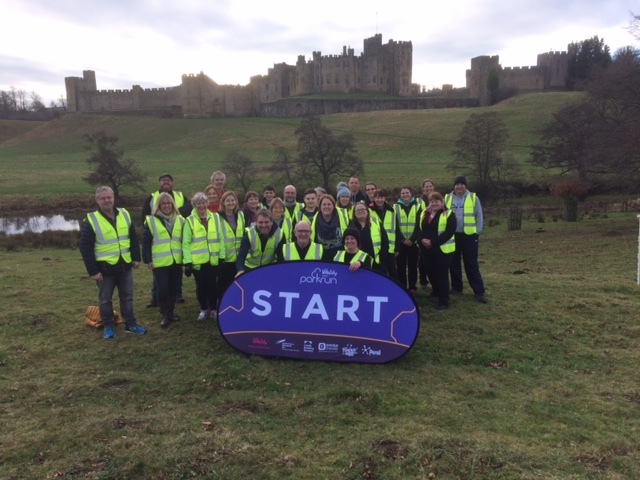 The races are among the most scenic in the region, taking runners through the stunning Hulne Park, in Alnwick. The 3k Junior Fun Run starts at 6pm, while the multi-terrain 10k begins at 7pm. Entry is now open for both races. Advanced entry for the Junior Fun Run (8-16 years) is £4 (including race memento), and £1 extra on the night. The race limit is 150 runners. To enter, click here. Advanced entry for the senior 10k (16 and over) costs £9 for affiliated runners and £11 for non-affiliated runners. Entries are £2 extra on the night. The race limit is 250 runners. To enter in advance, click here. Alternatively, click on this link – Les Allcorn 2019 Flyer Entry form V1.3 – to open and download a postal entry form. Advanced entries close for both races on Friday, May 10. Runners pick up their numbers on the night of the race. Refreshments and hot drinks are available after the runs, which both have generous prize lists. 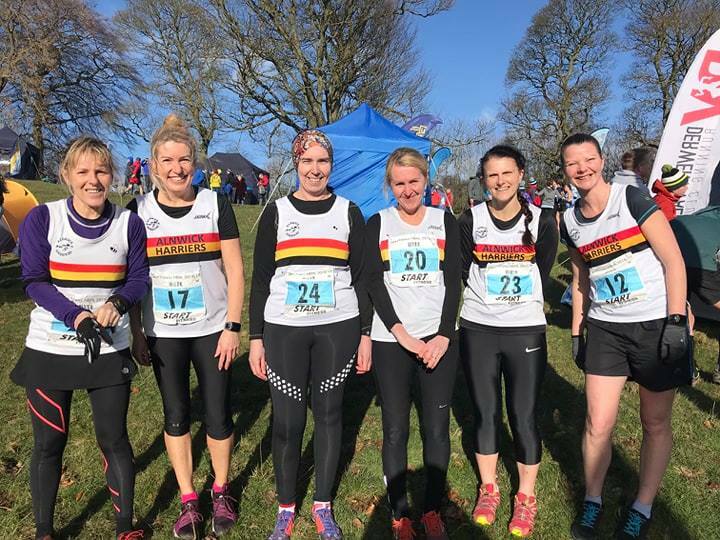 Alnwick Harriers’ 2019 Grand Prix is under way. 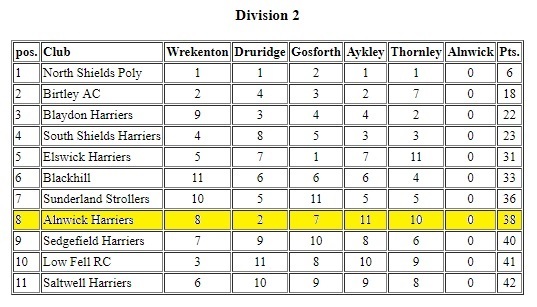 The North Eastern Harrier League meeting at Thornley Farm last Saturday was the first fixture of the year. Results from the weekly parkrun at the Pastures also count towards the 2019 rankings. 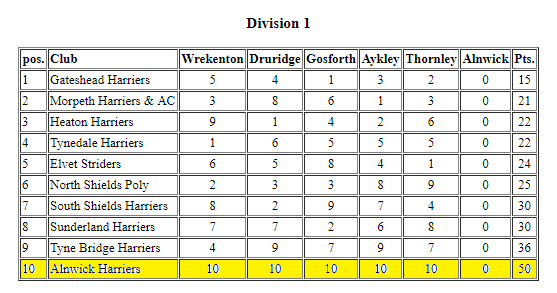 With this in mind, the early leader is Adam Fletcher, with 147.21 points, while Steve Carragher and Bruce Crombie are second and third respectively. 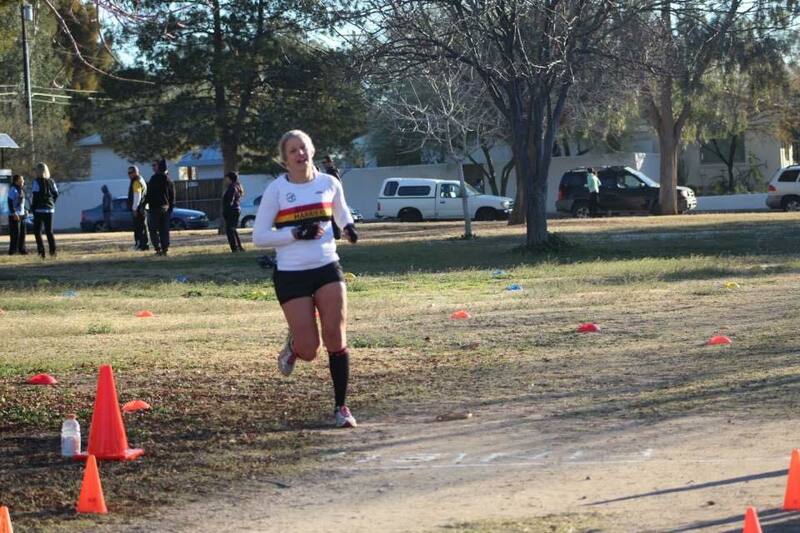 Karen Kelly is fourth overall and first female, while Mel Steer (pictured below) completes the top five. For more information about the 2019 Grand Prix, including more details about the races, click here. 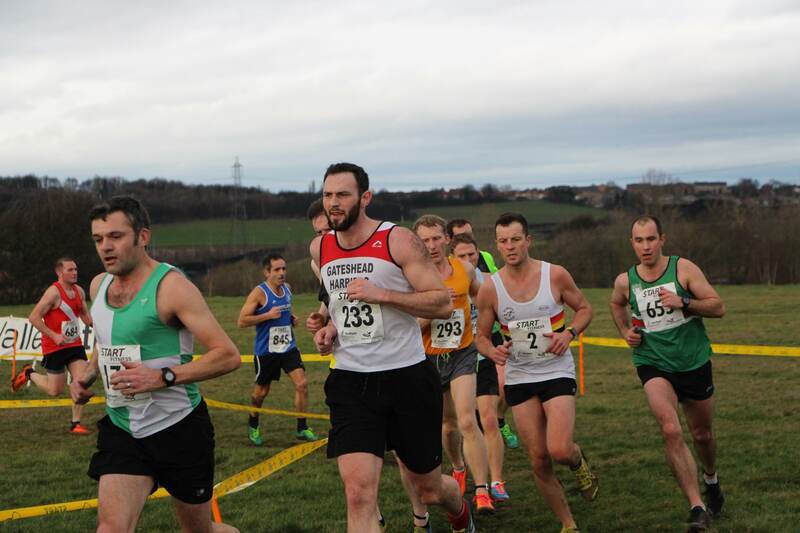 Runners wearing the Alnwick Harriers vest put in some excellent performances at the weekend. In the Under 17 Men’s race, Ben Murray-John and Max Breese both ran well. Ben completed the undulating 6km course in 23.14, with Max just slightly behind in 24.37. 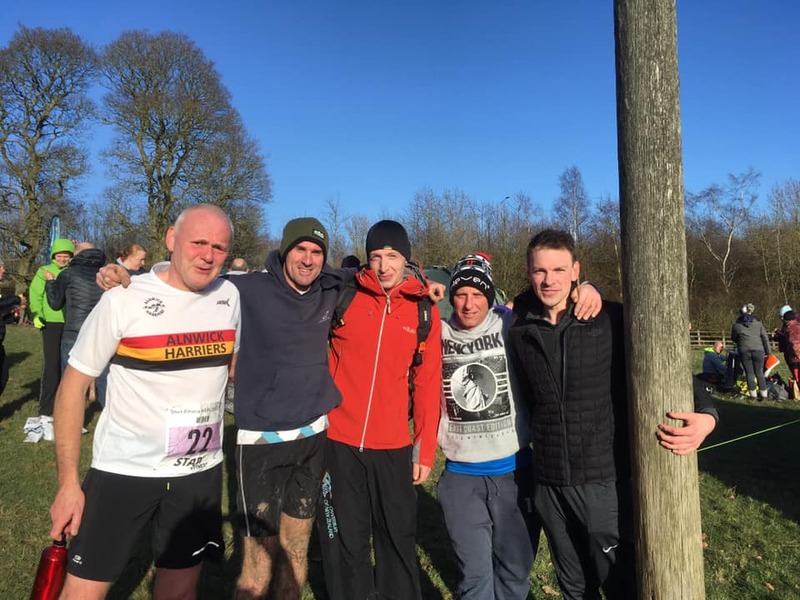 Three men represented the club, with David Richardson first back for Alnwick in 45.58 and finishing 205th overall. 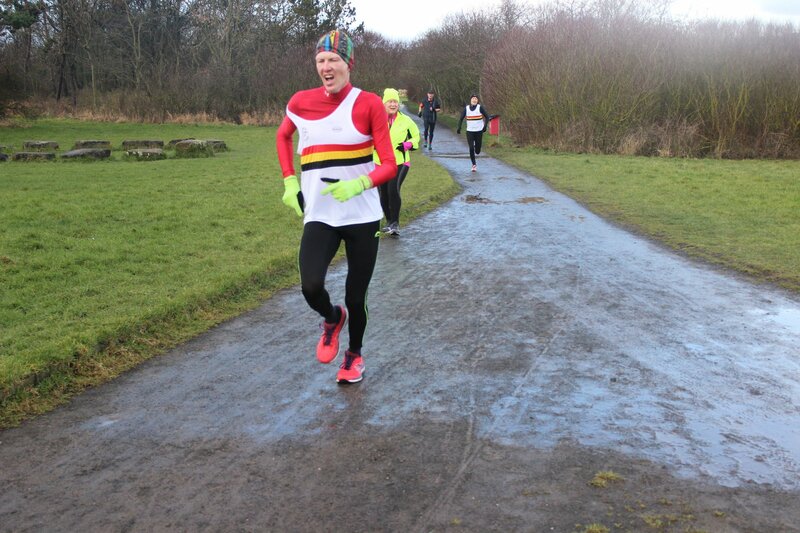 He was followed by Bruce Crombie (49.12) and Steve Patterson (50:55), who is pictured below. 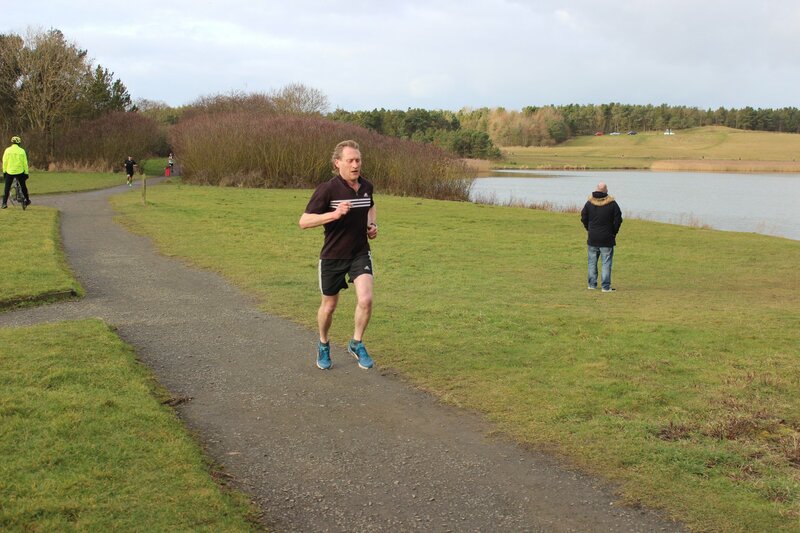 Meanwhile at Druridge Bay, Paul White was first Alnwick finisher, coming third overall in 19.27. He was followed by Dominic Harris, who crossed the line in fourth (19.34). 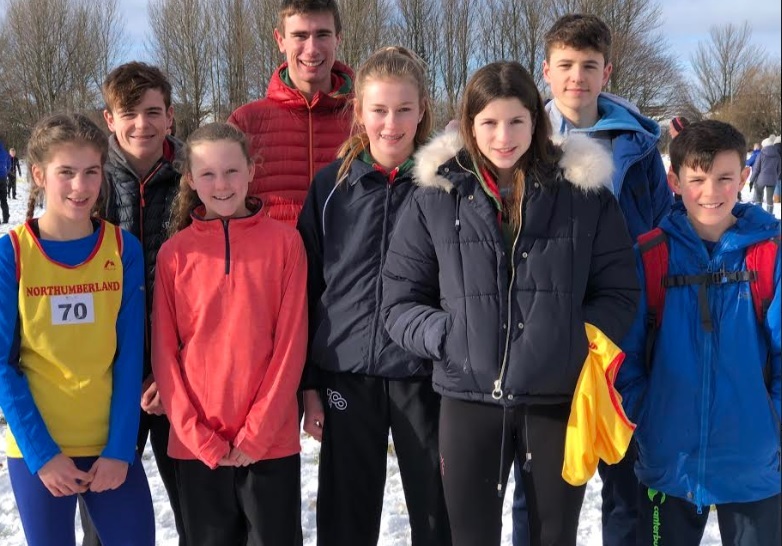 Smashing the club record and competition victories – there have been some impressive performances from talented members of the Alnwick Harriers Junior section. 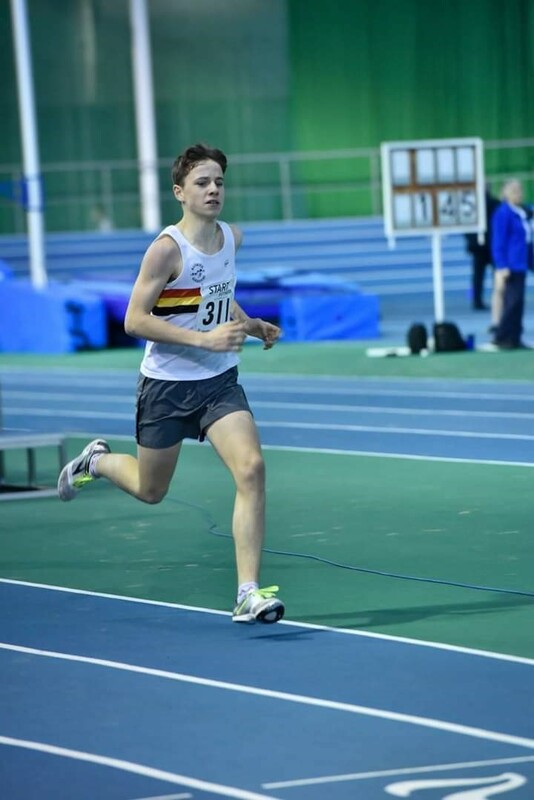 First up, Ollie Telfer shone at the Northern Athletics Indoor Championship, at Sheffield. The race was Ollie’s first opportunity to run on an indoor 200m track but once around the first bend he quickly adjusted to the different environment. Ollie ran a personal best time in the 800m, finishing in 2min 11s, setting a new club record in the process. 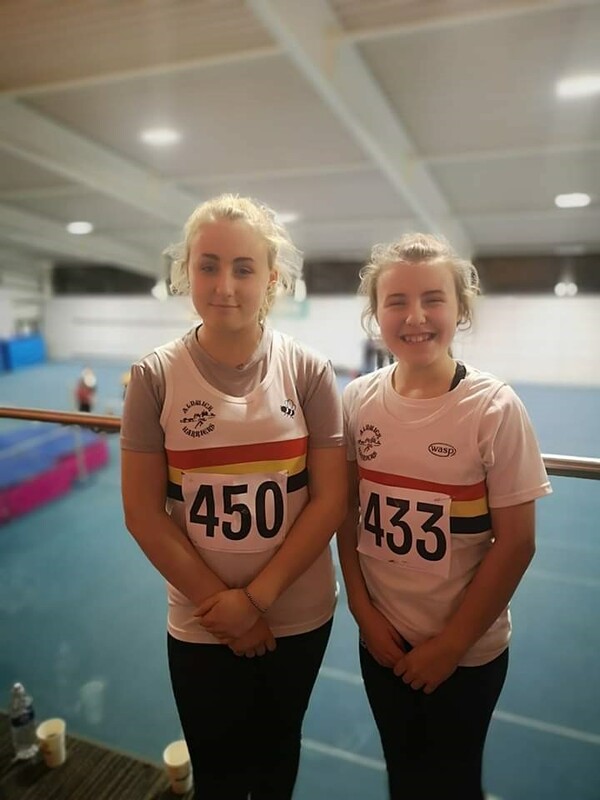 Meanwhile, at the Gateshead Indoor Athletics series, it was Leila Thompson’s turn on to win first prize (U13) in the shot put. Leila improved her indoor club record to 6.4m, while sister Talia could only manage 4th place on this evening. 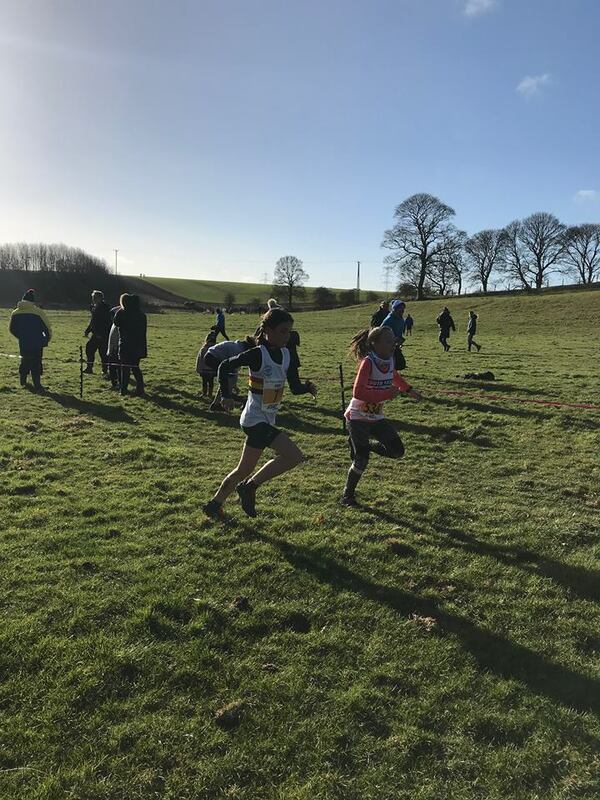 Last week, 25 Junior Alnwick Harriers represented their schools at the Schools’ Cross-country County Championship. 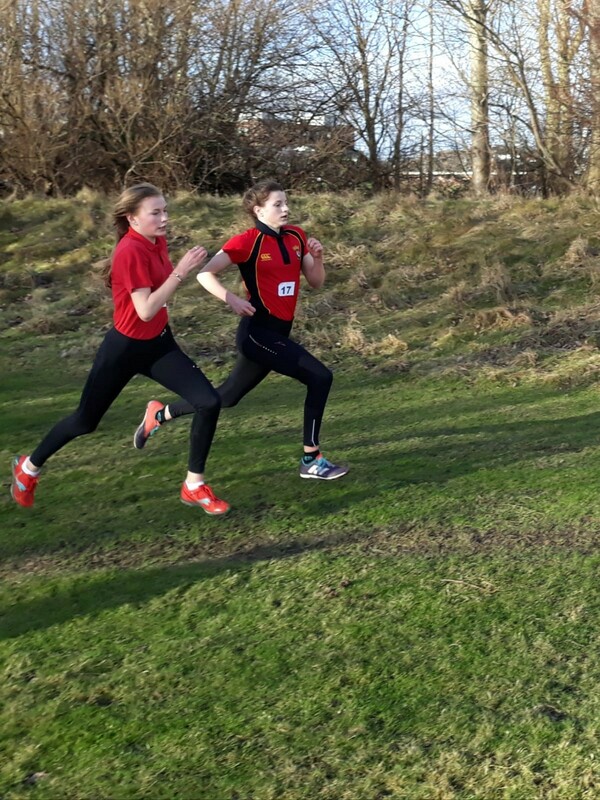 It was a successful day with Millie Breese running superbly to win her race. Lauren Brown and Hannah Johnston finished 4th and 5th. 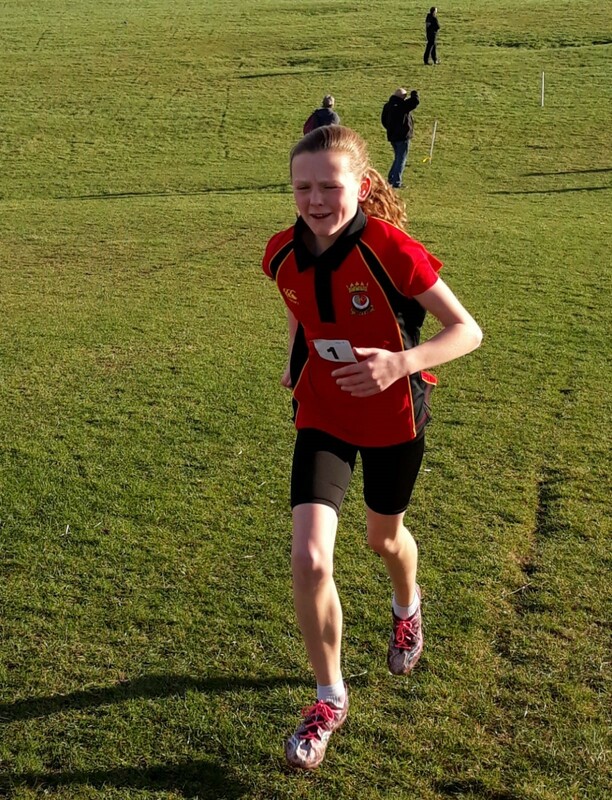 Lilia Purvis had a great race in the U13 category and was the club’s only other girl to be selected to represent the County next month. 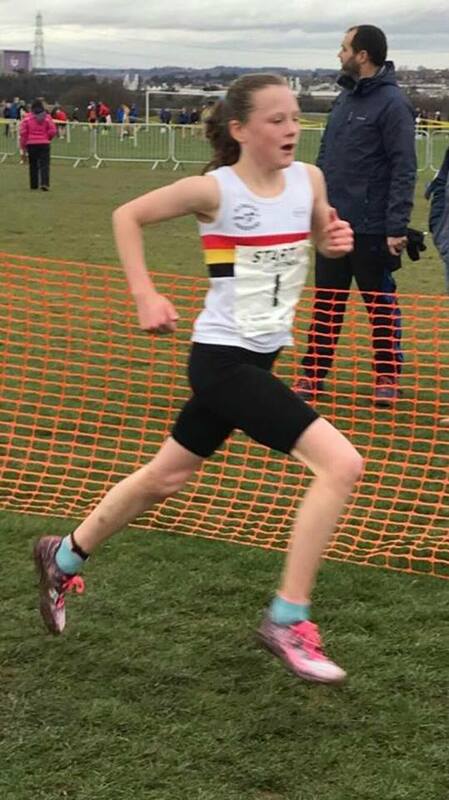 In the boys’ races, Max Murray-John gained a county vest in the U13 age group. The intermediate boys Ben Murray-John, Ollie Telfer and Barney Harvey all gained top-16 places to represent Northumberland too at the Northern Region Intercounty Competition, at Temple Park, South Shields.